Three years of work, destructive testing, and feedback. Dedicated internal Avy Gear compartment. Dedicated straps for the bottom of A-Frame. A few more pockets for organizing snow safety gear. A big pocket on the hipbelt for the smaller packs. Beefy, waterproof fabric that's right for the skimo world. First, meet the Zip Tops. From our 30, 30:30 and 45, new packs are born. 45L Ski Pack. Perfect for long weekends and other big trips. 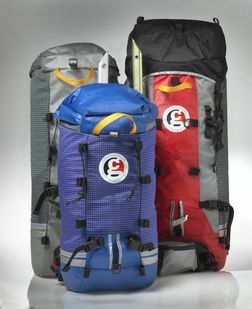 CiloGear's 26Z brings your avy gear and organizes your ski stuff without extra size or weight. Go light, have fun!